The Kentucky State Police are taking a walk on the wild side this year to support their Trooper Island Camp for underprivileged children. The agency is selling raffle tickets for a chance to win a new 2018 Dodge Charger R/T 392 ScatPack, a four-door, five passenger ride that combines legendary muscle car heritage with safety and comfort features suitable for family duty. Cloaked in a Destroyer Grey exterior and a black interior, it features an iconic design with a low, lean profile, scalloped body sides and an imposing crosshair grille. Built to run, its V8 SRT HEMI MDS engine delivers 485 horsepower and 475 pound-feet of torque — enough performance for any job from navigating superhighways to driving the kids to school. Paired with an eight-speed automatic transmission, the vehicle blends classic hot-rod performance with modern sensibility. 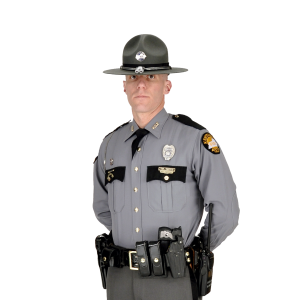 (A full list of features and equipment can be found on the KSP website at www.kentuckystatepolice.org. Trooper Island is a free summer camp for underprivileged boys and girls age 10-12 operated by the Kentucky State Police on Dale Hollow Lake in Clinton County. It is financed entirely by donations, no public funds are used. Each year, the camp hosts approximately 700 children, providing good food, fresh air, recreation, guidance and structured, esteem-building activities designed to build good citizenship and positive relationships with law enforcement officers.